Nigerian Terror 120 dead in a Few Weeks – Coercion Code – "Dark Times are upon us"
At least 120 people have been killed by alleged Fulani militant attacks since February in the Kaduna state of Nigeria with the latest attacks on Monday resulting in the deaths of over 50 and the destruction of more than 140 homes. The governor of Kaduna state, Nasir El-Rufai, imposed a dusk-to-dawn curfew this week in the troubled Kajuru Local Government Area as thousands have been displaced from their homes by violence caused by militant Fulani herdsmen. The curfew comes as there have been a string of recent attacks against communities within the predominantly Christian Adara chiefdom of southern Kaduna. On Monday, 52 people were killed, dozens injured and around 143 homes were destroyed in attacks on the villages of Inkirimi, Dogonnoma and Ungwan Gora in the Maro district of the Kajuru Local Government Area, according to Christian Solidarity Worldwide. The Monday attack followed an attack on Sunday in the Ungwan Barde village in Kajuru in which 17 people were killed and dozens of homes were burned. In late February, there was another attack in Maro that resulted in the deaths of about 38 Christians and saw homes and a church burned. On Feb. 10, 10 people were killed in an attack in Ungwan Barde as six others were killed in isolated attacks the day before. CSW, a United Nations-recognized NGO that advocates for persecuted Christians worldwide, reports that victims in the attacks on Monday included women and children. Survivors told the nonprofit that the attackers were separated into three groups. One group shot and killed people, the second set fire to buildings, and a third ran after people fleeing the scene. According to CSW, one victim of the attack who suffered a deep cut delivered a stillborn baby shortly after. “We are deeply disturbed by the resurgence of militia attacks in southern Kaduna, and extend our deepest condolences to the Adara people,” CSW Chief Executive Mervyn Thomas said in a statement. CSW believes that the recent violence could have been incited by Kaduna Governor el Rufai’s claims on the eve of Nigeria’s presidential elections that 66, mostly Fulani, people were killed in Kajuru. The claim was refuted by the Nigerian Emergency Management Agency. The Kaduna State Chapter of the Christian Association of Nigeria accused the governor of delivering false information. Nonetheless, Rufai didn’t back down from the claim and later raised the death toll to 133 killed, according to CSW. Rufai also ordered the arrest of nine Adara elders and village chiefs. The Adara community is still reeling from the death of Adara chiefdom leader Raphael Maiwada Galadima, a Catholic man who was abducted and killed last October. In December 2018, the Kaduna government divided the Adara chiefdom into two emirates. 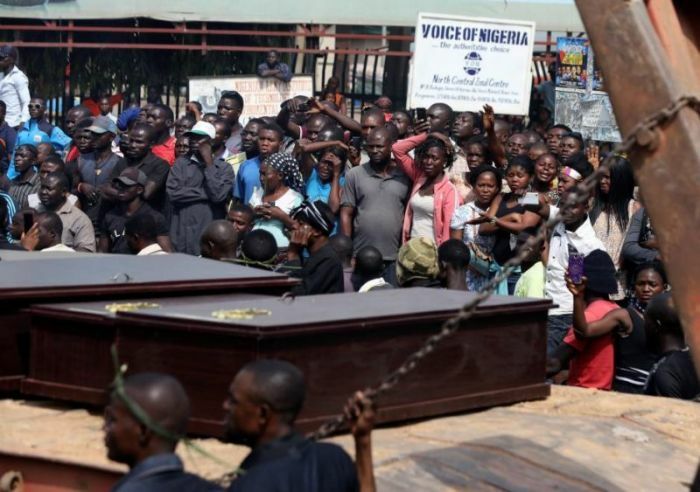 Nigeria ranks as the 12th worst country in the world when it comes to Christian persecution, according to Open Doors USA’s 2019 World Watch List. In 2018 alone, thousands of Christians were killed by militant Fulani herdsmen, leaving some to say that genocide is occurring in the Middle Belt of Nigeria. Kaduna state is not alone in suffering from Fulani violence as other states in the Middle Belt have faced it too. On March 4, Fulani militants in the Benue state reportedly attacked three villages, killing 23 people with bullets and machetes, according to International Christian Concern. “The relentless death and destruction is a sad indictment of the continuing failure by both levels of government to fulfill the primary mandate of protecting all its citizens impartially,” Thomas argued.